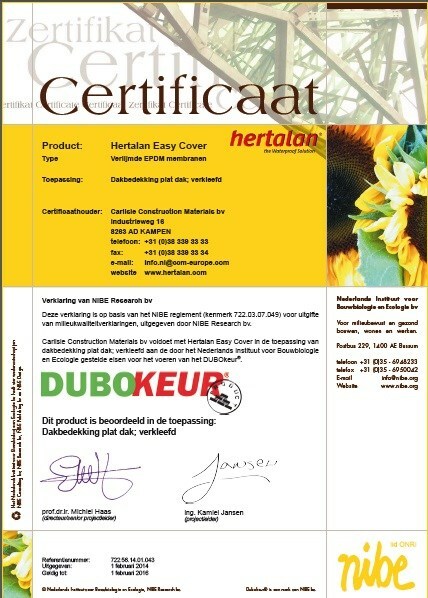 For HERTALAN® DUBOkeur® is an important recognition of the sustainable features of Hertalan EPDM rubber. The properties of our product make sure that the material is acknowledged as an environmentally friendly product. Hertalan EPDM is ecologically friendly, does not leach out, is a relatively thin and has a significant lifespan. These aspects contribute to it that we are proud of the products we daily produce in our factory.